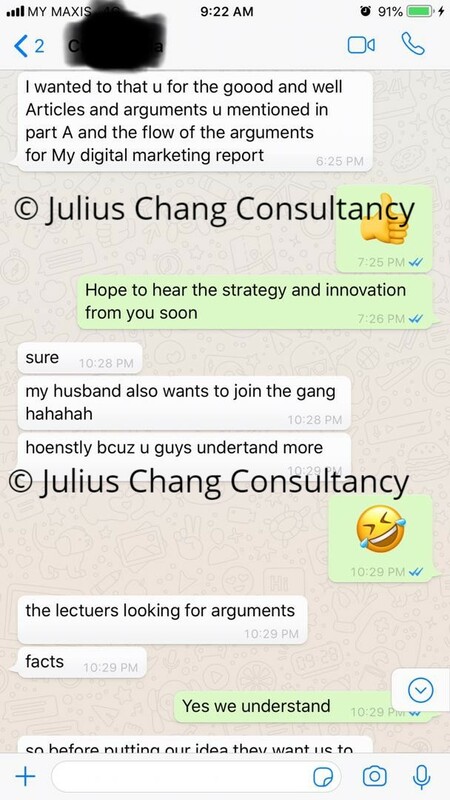 Julius Chang Consultancy Services is professional organization working with a group of experts from numerous academic disciplines. We assist and provide consultancy to millions of PhD Professors, students, Demonstrators, Researchers, Scholars and Lecturers seeking assistance either with Dissertations, Research papers, Thesis Writing or their PhD program. We, a Registered Company in Malaysia under 95728, has served scholars not only from Malaysia but also in a diverse range of other Asia countries up to UK. Your work will be published in your name. Guaranteed Publication in a Top ranked journal in your field. Simply Reply to this email with your Current Contact Number, and the Best time to Reach you. Take a look at the many extremely satisfied testimonials from our appreciative customers. 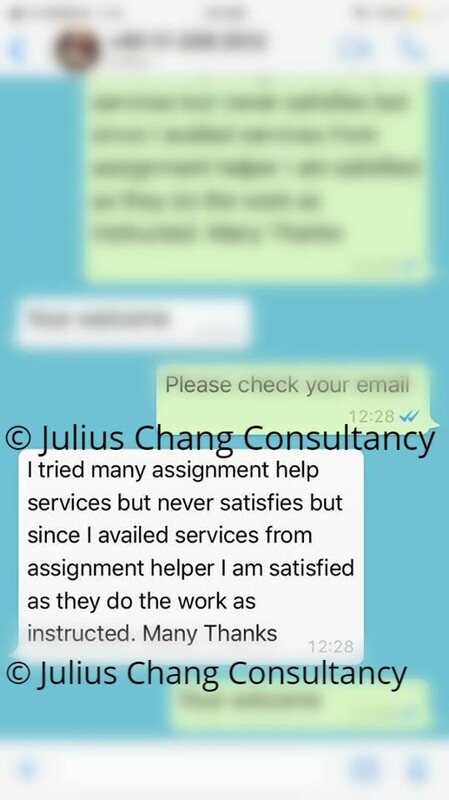 It’s never a wrong choice to choose us to solve your assignment headaches! Hurry now and avail our services by clicking the Contact Us link on your top right corner of the screen now! We are a subsidiary of the Julius Chang Consultancy Group, specializing in taking aerial drone photography and videography services. We are based in Kuching, Sarawak at the moment and are expanding rapidly. We have proven records in taking stunning cinematic shots and video clips for all occasions such as corporate events, personal events such as action film, journey footage, wedding and much more. Please contact 012-8913310 for quotation. 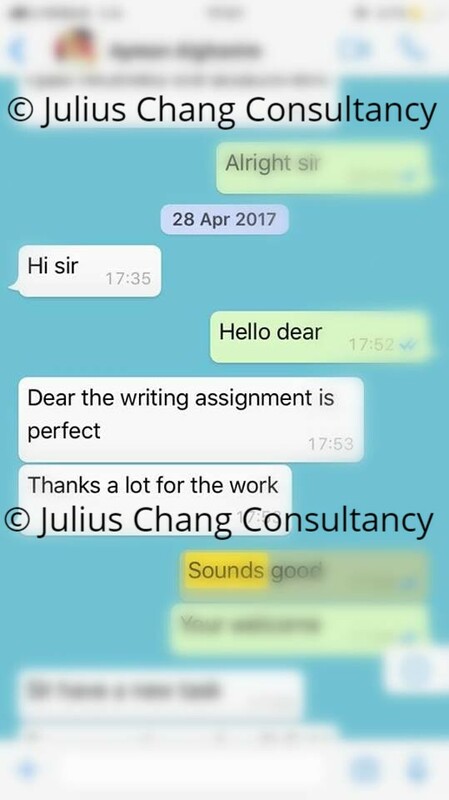 We are the one and only registered academic assistance company in Malaysia, bearing the name Julius Chang Consultancy Services (Comp. Reg. No. 95728), providing plagiarism free and high quality services in assignments, case studies, thesis, dissertation, proof reading and so on. All the others with free emails are frauds and scams, so would you want to risk yourself with those or to get yourself a peace of mind over your courseworks by engaging us? Are You Having Assignment or Thesis alike Problems? Need help with your assignments, thesis, dissertation, case study, SPSS analysis and so on? We provide services in SPSS Analysis, Constructing Quality Graph with Statistic Test, Assignment Writing or Editing, Essay Writing, Term Paper Help, Thesis/Dissertation Writing and Editing, Proof Reading Services, Case Studies Analysis, Research Paper Writing, Coaching and Tutoring sessions tailored to the students’ needs. Accurate referencing Harvard/ APA/ MLA/ Chicago/Turbian) is also provided for assignments as per requirements. We have a team of experts coming from diverse academic backgrounds with qualification ranging from Bachelor, MBA, to PhD degrees; who are also working professionals with rich experience in their area of expertise. We have been providing these services for a wide spectrum of students and won accolades from student community. We provide faster services and deliver solutions with high quality. We are always there to assist students to get higher grades. Struggling with Assignment / Thesis? We, a team of highly qualified, experienced and professional academic writers; are offering to do assignments and thesis for you. Unlike others, we are a registered legitimate company providing legitimate writing and help services proven from the student community. Would you want to risk yourself to deal with single unknown parties with Gmail, Yahoo, Hotmail or even other personal emails that are susceptible to fraud and scams? Or would you want to deal with a legitimate company with registered business and domain emails? We have been providing these services for a wide spectrum of students and won accolades from student community. We provide faster services and deliver solutions with high quality. We are always there to assist students to get higher grades. Do you need help with your assignments, thesis, dissertations or any custom essay writings? 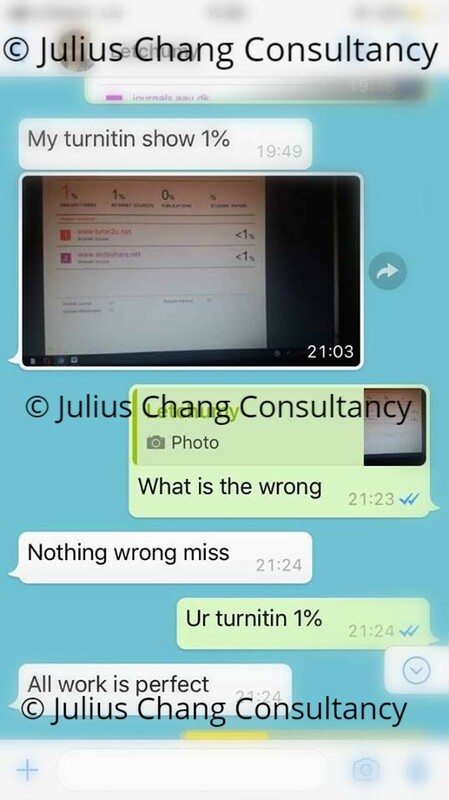 We are a registered legitimate Malaysian based premier e-learning service provider who has been providing plagiarism-free, genuine online help service and assignment writing services to the student community across Malaysia. Looking for assignment writing services? Need an assignment helper? Look no further. We, the ONLY registered and genuine assignment writing services company in Malaysia is here to help you with your assignments. Thus, do not risk yourself in dealing with those vague parties with Gmail, Hotmail, Yahoo or other unregistered emails and get yourself scammed at the end of the day. Or email us at Enquiry@assignmenthelper.com.my with your assignment details, due date and word count. If you don’t have enough time to do your assignments, pass them up to us. We will help you to settle them within our agreed time. 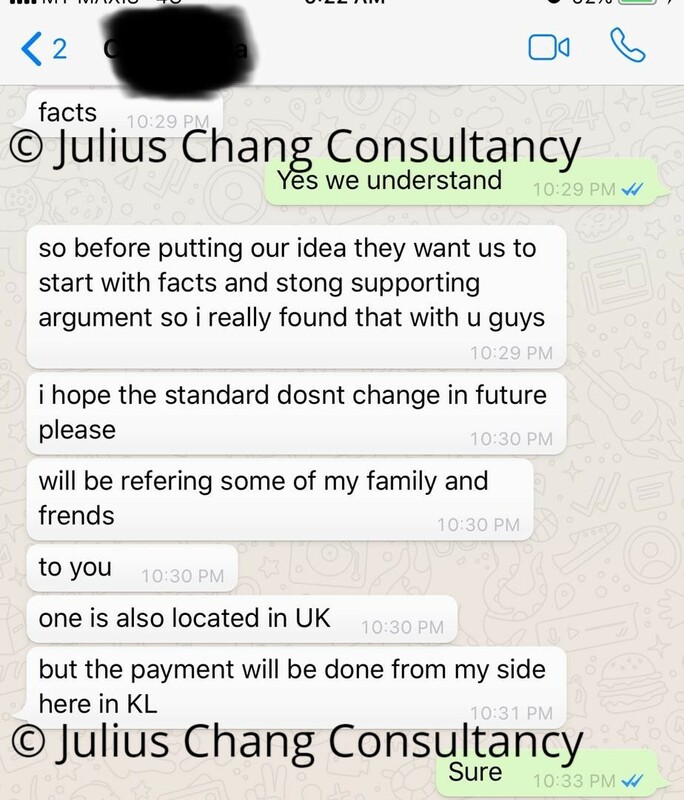 As the only registered academic assistance company in Malaysia under Julius Chang Consultancy Services (Comp. Reg. No. 95728), we offer to help you in your thesis, dissertations, SPSS and short assignments by writing them for you. Leave these headaches to us and you can have a peace of mind over these while doing what matters most to you in your family, work and fun life. Try us for high quality and best value works! Need help for your assignments? No time for your thesis? Do not know how to write your dissertation? No idea on running SPSS analysis? 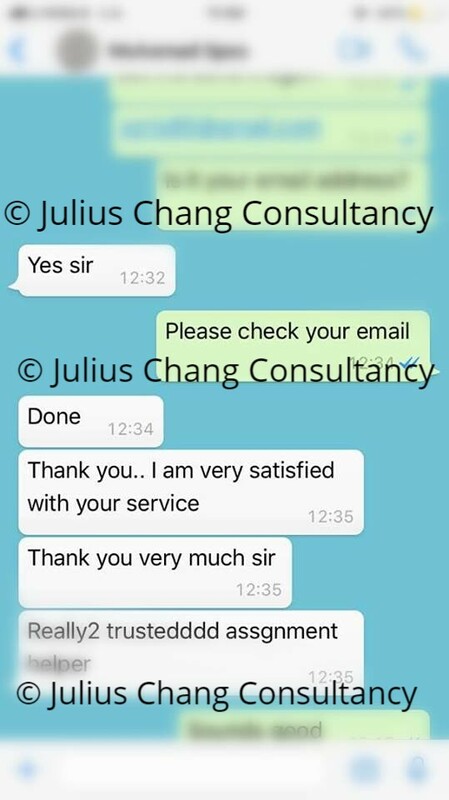 We at Julius Chang Consultancy Services (Comp. Reg. No. 95728), the only genuine academic assistance company in Malaysia, offer to help you to finish your thesis or even write it from scratch. We also provide helper and writing services for your assignments. Stuck with your programming tasks? Facing design or architecture problems? No time for your thesis? Do not know how to write your dissertation? No idea on running SPSS analysis? We at Julius Chang Consultancy Services (Comp. Reg. No. 95728), the only genuine academic assistance company in Malaysia, offer to help you to finish your assignments or even write or design them from scratch. We offer to help you in your business and management subjects starting from Diploma up to PhD level. Areas offered are in your assignments, thesis, dissertations, final year projects and SPSS analysis. Additionally our wide spectrum of services also covers all kinds of courses inclusive of programming and design courses.